A lot of people bite their nails. It’s not that unusual, but researchers looking at the underlying biology for individuals who do it often are learning that frequent nail-biting may point to more serious conditions. For people who frequently bite their nails, the habit is associated with higher chances of having some psychiatric disorders or compulsive behaviors, according to new research by 23andMe senior statistical geneticist Chao Tian. In a short talk at the annual American Society of Human Genetics meeting in Vancouver, Chao presented findings showing genetic associations with frequent nail-biting as well as other associations with the habit. Before diving into her findings, it’s important to note again that in most cases nail-biting is not out of the ordinary. In children and teens, it isn’t associated with any psychiatric disorder. It is more a reflection of boredom, stress or even behavior modeled from parents, according to psychiatrists who study the condition. The habit is fairly common. Estimates are that about 30 percent of children and 45 percent of teens bite their nails, and as people move into adulthood the percent of people who bite their nails diminishes. But where there are interesting associations are among those who report that they frequently bite their nails. For those individuals the habit is associated with higher chances of having some psychiatric disorders or compulsive behavior, according to new research by 23andMe senior statistical geneticist Chao Tian. 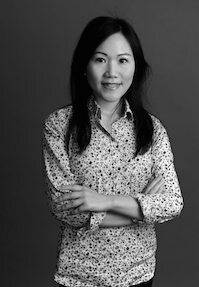 In her talk at the annual American Society of Human Genetics meeting in Vancouver this week, Chao presented findings showing both genetic associations with frequent nail-biting as well as associations between the habit and certain psychiatric disorders. For this study, Chao looked at data from 180,000 23andMe customers of European ancestry who consented to research. About 37 percent of whom reported that they bite their nails, with about seven percent of the total saying they did so frequently. Chao and other researchers at 23andMe found two dozen genetic associations with nail-biting, known by the medical term onychophagy. While nibbling on nails during times of stress doesn’t mean one has a psychiatric disorder, among those who report that they frequently bite their nails the picture changes a bit. Data shows that frequent nail biters are more likely to have certain disorders and habits such as depression, anxiety, and trichotillomania, the scientific name for the urge to pull out one’s own hair. What’s also interesting is that the function of some of the genes in which nail biting associations were found point to links with things like nail structure, BMI, taste perception and neuronal regulation in the brain, Chao said. What’s important to note here is that most cases of nail biting among children and teens isn’t associated with any psychiatric disorder, but rather a sign of boredom, stress or even behavior modeled from parents. About 30 percent of children and 45 percent of teens bite their nails. Nail-biting tends to diminish as people move into adulthood. In this study, Chao also looked other characteristics like conscientiousness, openness, neuroticism, agreeableness and perceived stress, and found that those people who reported biting their nails often were also more likely to be neurotic and stressed. On the other hand, her research showed that people who didn’t bite their nails were more likely to be conscientious. In and of itself this study is interesting, but it also illustrates the power of collecting large amounts of phenotypic data with genotypic data to study the underlying biology of many different kinds of conditions.